UNDATED - Registration is open online at www.sunflowernsa.com/events/2017-NSA-Summer-Seminar/ for the 2017 National Sunflower Assoiation Summer Seminar. This year's Summer Seminar is the 35th annual event. It will be held June 27-29 at the Rushmore Plaza Holiday Inn in Rapid City, S.D. A block of rooms has been reserved there for June 27-28. To make your reservation, contact the hotel. You need to enter SA1 in the group code box. You can also call the Rushmore Plaza Holiday Inn at 605-348-4000 and book your room. 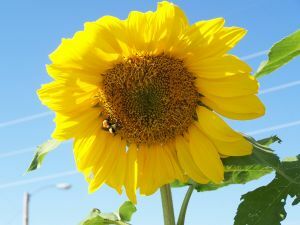 The block of rooms is listed under National Sunflower Association.